Hair is a surprisingly powerful thing. It can delight us. Empower us. Completely and utterly frustrate us. It can tell others what to think of us, without saying a word. Due to the endless possibilities of hair, and the politics, Afro Archives was born. 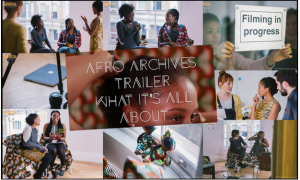 The Afro Archives project is about heritage and identity within UK society. 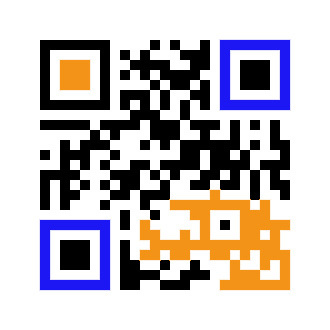 It is a platform for cultural sharing, and defining image. It promotes and celebrates afro hair by having inclusive discussions about all types of hair with people of different ages, backgrounds, cultures and creeds. We also discuss the social, political and economic aspects of hair because we believe they matter. If you want to get involved, there is a YouTube series focused on the experiences of actors (Afro Archives A Performer’s World). There is also a radio show podcast (Afro Archives On Air) exploring a different hair related topic on every show. Furthermore, we have a new hair project on the horizon: “Hair On Trial”. 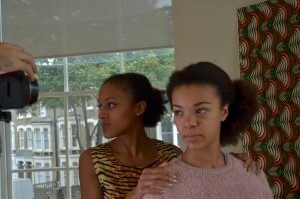 Hair On Trial will bring Afro Archives to the heart of family life. “A Performer’s World” is a series of talks on hair from the viewpoint of actors. It’s currently living on YouTube, and is our first exploration for this project. 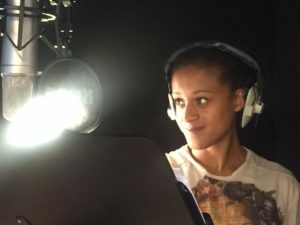 We have music composed by Livvy Baker-Mendoza and we filmed on location at The Black Cultural Archives in Brixton. 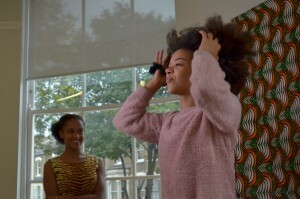 In this series we explore the experience of women with afro textured hair. Not only did we record chats with women who have afro-textured hair, but we also spoke to those who don’t. In doing this we made comparative explorations by talking about relationships with our hair from the perspective of different ages, ethnicities and genders. Furthermore, we did all of this within the context of acting in so far as acting is a visual art, what we look like matters. We included questions like: Does your hair represent who you are? What things do people say about your hair? What do you do with your hair for auditions, rehearsals and performances? You can watch all the films on our YouTube Channel. See what conclusions you might reach for yourself. Prefer a good read? Via Issu, you can find all of our Afro Archives Transcripts. The results of “A Performer’s World” were a warm, powerful conversation that was screened at The Royal Central School of Speech and Drama, The Home Office (for Black History Month), and The National Theatre. At all of our events people of different ages, genders, races, cultural backgrounds and occupations came to share their experiences. In addition, we incorporated an amazing collection of poems and personal essays from Hair Power Skin Revolution. This seminal book edited by multi-platform artist Nicole Moore is dedicated to the experiences of Black and Mixed-Race women in the UK. As well as joining the debate on YouTube, you can currently tune in to Afro Archives On Air via Wandsworth Radio – Live on Fridays 3pm to 4pm and likewise catch-up via our podcast. 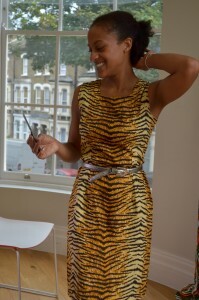 Afro Archives Series Two “Hair On Trial” – coming soon!